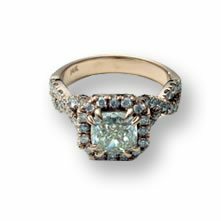 J. Thomson Custom Jewelers has re-cut countless chipped and damaged diamonds, as well as lab certification of loose stones for resale. Call for our special service today. There are many different reasons why customers want an appraisal. The most common is for jewelry insurance. Whether you use your homeowners "rider" coverage or our highly recommended Jewelers Mutual Insurance, you MUST have a signed and cosigned jewelry appraisal letter. We have a GIA graduate gemologist to assist in appraisals and "stone verification" services. Visit www.perfectcircleinsurance.com to get the quotes for Jeweler's Mutual. In over 20 years of business, we have NEVER had a JMI covered item denied replacement for any reason. The number two reason you may need an appraisal is because a loved one has passed away. In many cases, jewelry belonging to the deceased is part of an estate that needs to be settled between multiple family members. These kind of estate appraisals are also important to be accurate in case the IRS wants a certain percentage of the estate tax. 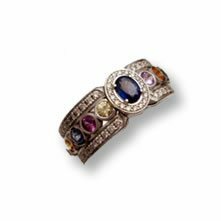 Lastly, jewelry replacement appraisals are also performed to determine what a piece is worth in a RESALE situation or authentication process. When people buy jewelry or gems on the internet, many times they really don't know what they are worth. 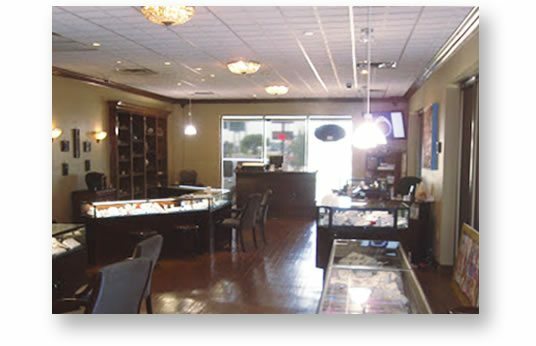 J. Thomson Custom Jewelers has 20 years of online experience with over 100 websites. We’ve seen and experienced many forms of jewelry fraud and misrepresentation on finished jewelry as well as loose gems and diamonds. Let us assist you in an expert manner with any part of the appraisal process. 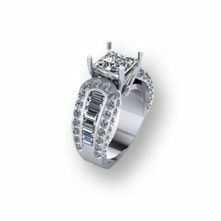 We offer the only free evaluation service on estate or used jewelry for possible resale. 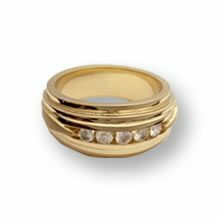 Bring your old jewelry from inheritance or divorce and we will provide rough values for your estate selling or tax purposes. For pieces valued more than $500, we offer a minimum $20 appraisal fee on estates of 100 pieces or more. We do this in the store for walk-ins or via the Internet with emails containing digital images. After evaluation, we can recommend several sale alternatives. 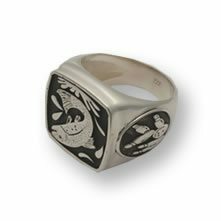 J Thomson Custom Jewelers can buy outright for a fair price. If you sell it on Craig's List, you can do the cash transaction in our VERY SAFE store for FREE. 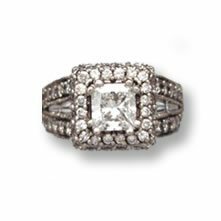 Finally, if your item is sellable, we are one of only a few stores Oklahoma City that offers consignment with a dedicated estate case. Our fee is 20% of the sale price. We make sure you know the minimum level. 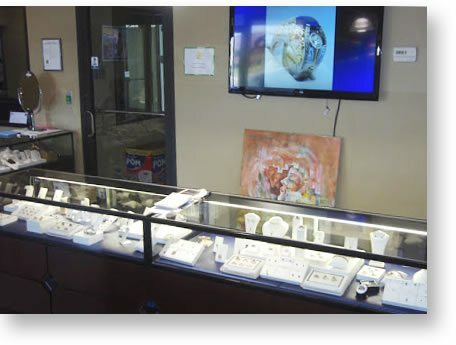 Depending on your needs and expectations, we can arrange a purchase of your larger diamonds and scrap gold. We are NOT a pawn shop. However, we can always offer advice for selling your item and provide the best offer for the quantity. If you sell us gold, we always return your stones within a few days. We give 80 to 90% in trade value of gold or silver against any job or purchase you make! At J. Thomson Custom Jewelers, all jewelry cleanings and inspections are FREE. If your piece needs an acid cleaning, it must be left overnight. Otherwise, we can clean and polish it in less than 5 minutes while you wait. 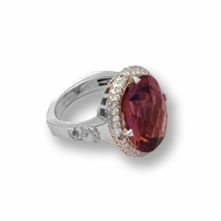 We also inspect the ring carefully for sharp prongs, worn prongs, and loose stones. If repair work is needed, we can give you a quote at that time. We will offer this FREE service, even if we did not sell the jewelry to you originally. We replace batteries for $10, the lowest, and fastest service in the city! We also have a watch repair service with an expert specialist. Bring in the watch before Thursday and we usually have a very fair quote in 2 days. We can usually repair a watch in 10 to 14 days. The service includes watch crystals replacement, clean oil and adjust (COA). Numerous other mechanical services or replacement parts can be installed. We offer watch repair on all items and brands, including Rolex, Tag, Hamilton, Omega, Citizen, or Seiko. Sometimes these must be sent to the manufacturer. Our watch service also includes link removal and lengthening, as well as pin replacement and new watch band purchases. We are the only jewelry custom design studio world-wide that offers FREE LAYAWAY payments on custom jewelry projects up to 6 months and with at least 50% down. With military personnel, we extend this offer to 12 months at 30% down in our appreciation of their commitment and sacrifice to our nation. Even repairs and restyling can be paid for over several months.